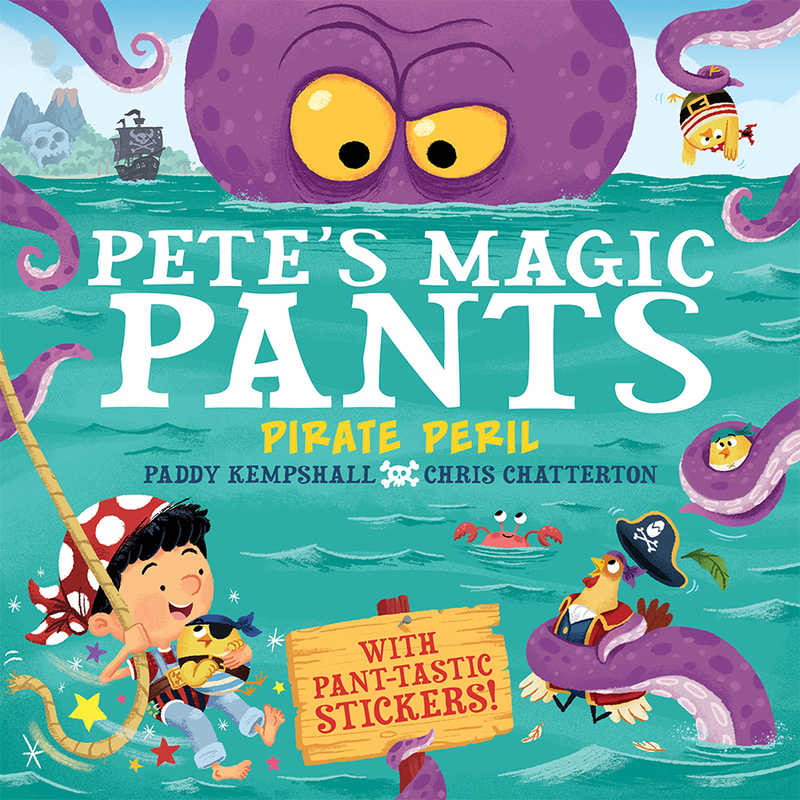 Join Pete on his second adventure as his new pirate pants take him on a high seas journey aboard the Flying Fowl, a ship crewed by chickens! Can Pete help Cap’n Ted find the lost treasure of Long John Silverside? He’ll have to make his way past mischievous mermaids, snappy sharks, whooshing whirlpools and even outwit a HUGE octopus!